Domain of Tanaros: Rogue One: New Hope for Star Wars! Rogue One: New Hope for Star Wars! After the dissapointment I experienced watching The Force Awakens I decided not to watch any more Star Wars installments. When Rogue One came to the theatres, I was rather adamant to hold on to my decision, in spite of good reviews. However, something happened that changed my mind. My cousin from abroad was visiting us and since both of us love movies, we soon came to the subject of Star Wars. He had the similar opinion of TFA but he was absolutely thrilled with Rogue One. When we said goodbye, he said to me that I just had to see the film. I had no choice. A word about the plot: the Empire is ruling the Universe with the iron hand. The Rebellion is trying to fight back but they are on the ropes. They know that a famous scientist is working on something grand for the Empire and they are trying to get to him through his long-lost daughter. In the course of events, the location of the Death Star plans is revealed and we are shown how those plans eventually found their way to the Rebellion. 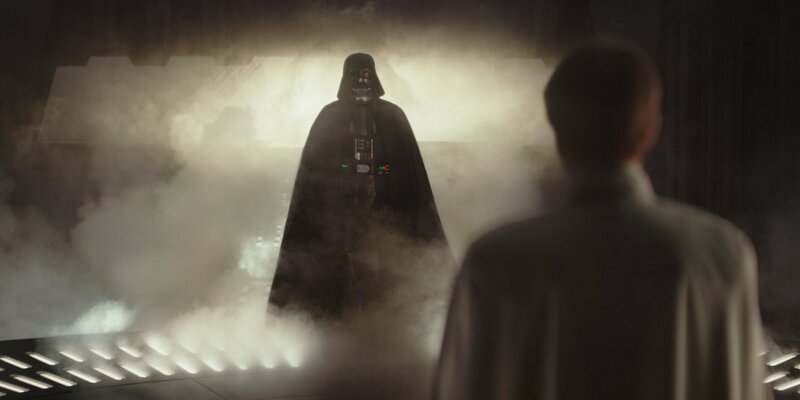 Rogue One covers the events between episodes three and four. The atmosphere is rather dark, a sort of a counterpoint to the light approach in the New Hope. The Rebellion is portreyed as a rather unscrupulous organization, one that does not shy way from assasinations, if is seems that there is no better solution. That is quite different from the optimistic approach that we were used to in the majority of Star Wars films. In this respect, Rogue One reminded me of The Empire Strikes Back, which used to be my favourite in the series. 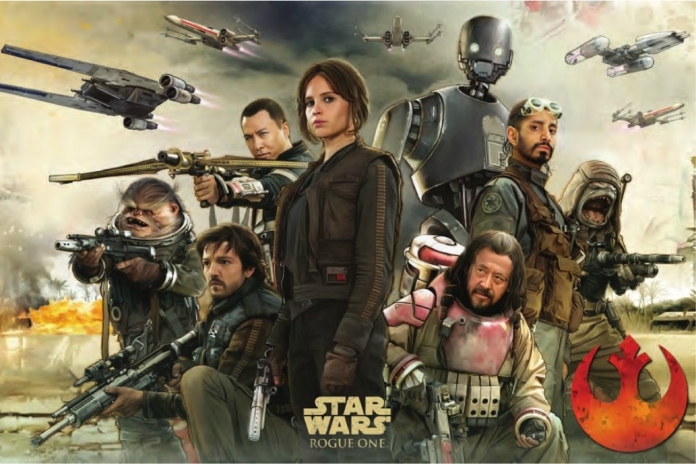 The main characters are Jyn Erso, played by Felicity Jones, and Casian Andor played by Diego Luna, and off course, the android K-2SO played by Alan Tudyk. Tudyk probably did the best job in the film, but the guy is a genius, so no surprise there. I should also mention Donnie Yen, Mads Mikkelsen and Forest Whitaker, all of whom were great. There is so much that I loved in this movie. First of all, there are no those bluntly illogical moments and gaping plot holes. The movie is separate from the main storyline but it is fused with it seemlessly. We are shown why is there a weakness in the Death Star, how princess Leia was captured and how the plans found their way to R2D2. It gives a completely new weight to some parts of the other films. For example, it is mentioned in The New Hope that a high price was paid for those plans, and we are now aware how high. I was so cought in the whole atmosphere that I was choked up from the middle of the movie until the very end, thinking the entire time: Oh my God, this is so good. When princess Leia appeared at the end, I couldn’t hold back my tears. She passed away recently, and seeing her young again was simply too much. The ending was just perfect. It was predictable and logical, but I was still hoping that it would go other way. It was emotional, beautiful and painful. A bit pathetic, but in complete harmony with the plot. Some critics called Rougue One the best Star Wars movie to date. I would have to rewatch Empire Strikes Back to be sure, since it is the only one that can be justly compared to Rogue One, but I might just agree. Anyhow, it deserves the highest possible grade.